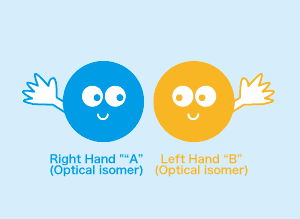 Do Your Products Have "Chirality"? Are you using skin products with Chirality? Green and clean since 2002, Sircuit Skin Cosmeuticals are 100% fresh. I was first attracted to their clever names, like “X-Trap” and “Cloud 9" but now, I am attracted to what these amazing cleansing and treatment formula's have done for my skin! The key to this extraordinary collection of skin treatment solutions is the extensive use of Chiral (molecular separation or purification) technology. 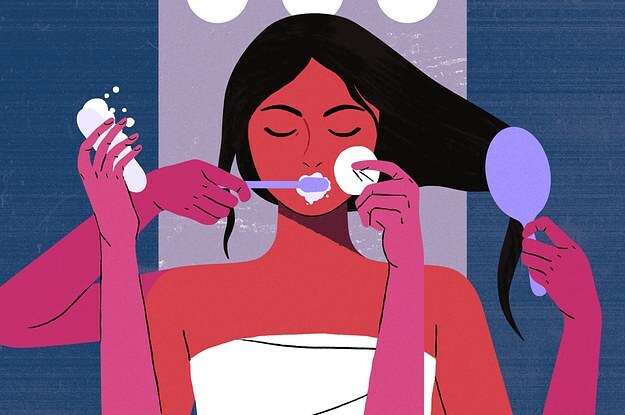 Now, you’re probably wondering what this strange sounding word, "Chiral" or "Chirality," (pronounced kirul-it-tee) has to do with safe ingredients and effective skin care products. And why, should we, lovers of quality and responsive products, want to put anything with “Chirality” on our skin? There are many reasons, and it can sometimes get very scientific, but to put it simply "Chirally Correct" refers to the form in which the ingredient/nutrient is delivered to your skin, understanding that the absorption of that ingredient takes place ONLY for that portion of a nutrient that fits the cell receptor. Chiral ingredients (that are put through a purification process to separate the molecules) are "made" in a lab. While many ingredients that are in our products are derived from natural ingredients, they cannot be considered to be purely natural because of the extra processing or purifying. Still confused? So was I, but then I used them and discovered that science and beauty really do go hand in hand! All ingredients/nutrients are composed of molecules that are mirroring images of each other – like, for example… your hands, or your eyes or your feet are all identical opposites; biological examples of mirror images of each other. In virtually all aspects, the two "parts" are physically and chemically identical, except for one critical area: How they link up and interact, or more importantly, react, with other molecules in the body. Enough of the science! Now let’s talk about the beauty and how using these products have made such a difference in my skin. Skin care professionals tout a daily regimen for beautiful skin, and I found “The 7 Essentials Collection” was the perfect way to get to know these innovative products. Step 1: X-Trap + - Splash face with warm water, apply a small amount to fingertips and massage in circular motions into a lather on face and neck. Rinse thoroughly with warm water. Step 2: Molecular Mist + - Gently mist over your face and neck, avoiding contact with your eyes and press into skin. Let dry. Use any time after cleansing or as needed to refresh, protect and restore moisture balance. Step 3: White Out + Put a tiny amount onto your finger (use your ring finger for less pressure and always in towards your nose) tapping gently around cleansed eye area in a circular motion following your bone structure. Step 4: Day Care + - Pump a small amount onto your fingertips and gently apply over entire face (don't forget to include your neck!). Day Care™+ is non-comedogenic and suitable for all skin types. Step 1: X-Trap + Splash face with warm water, apply a small amount to fingertips and massage in circular motions into a lather on face and neck. Rinse thoroughly with warm water. Step 2: Sircuit Addict + Use on clean skin before applying moisturizer. Dispense with dropper a pea size amount on the back of hand and apply to face with light tapping motions avoiding eye area. Step 3: Molecular Mist + Gently mist over your face and neck, avoiding contact with your eyes and press into skin. Let dry. Use any time after cleansing or as needed to refresh, protect and restore moisture balance. Step 4: Cloud 9 + Scoop out a small amount and apply to face and neck using gentle upward movements. 2-4 times per week: Sir Activ +: Splash clean, washed face with warm water and place a small amount into your hands. Smooth on with gentle circular motions. Leave on your skin for 3-5 minutes and rinse off with warm water. Follow with moisturizer. Can be used either morning or night and 2-4 times a week depending on skin condition. As with any product, I encourage you to look at your labels, and understand what you are putting on your skin. Simply put, I think we all can agree that idea of slathering chemical filled lotions on our bodies is probably not too good. This anti-aging regimen will satisfied any desire for quality and ground breaking skin care products. Sircuit Skin Cosmeceuticals are always designed to be "body friendly" and to protect the moisture balance (pH balance) in your skin, with an extremely effective, simple "be good to yourself" approach. 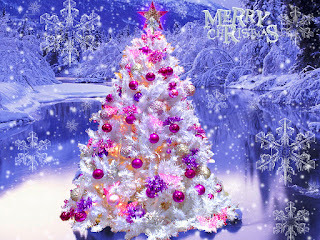 Has Been Very Good This Year! What Products Top Their Gift Wish List?! to mold and sculpt his shorter hair in any style. "It's like therapy for my hair when it looks dull and lifeless," said Mike, and I get a stylish look in just a few minutes!" Mike has also added Billy Jealousy LiquidSand Facial Cleanser to his daily routine. "Exfoliating daily actually makes shaving smoother," he said, rubbing his chin. "It's not as abrasive as a scrub, yet better than a face wash." It gently exfoliates and nourishes while removing any debris and dead cells. Jade says she "Love, love, loves the PUR Hydragel Lift Primer!" Her concealer and eye makeup is wearing much longer throughout the day, with a lot less transfer and creasing. The trick is to apply with the ring finger, NOT swipe the tube over the entire eyes. Use the ring finger to rub the top of the stick a few times (to load a bit of product onto the finger) then quickly swipe the finger with the product over the undereye area, with a few quick taps to get the product all over the area up to the lash line. Jade also loves Phyto- Phytodefrisant Botanical Straightening Balm as it's "the best product ever for frizzy hair and humidity." Achieve the perfect blow-out at home with this non-chemical straightening treatment that's heat-activated to hydrate and protect hair. Jenna's asked for iS Clinical Active Serum as "it's one of Beautystoredepot's best sellers, and now I know why!" Active Serum not only reduces the appearance of fine lines and wrinkles, but also addresses concerns such as uneven skin tone and acne. This serum is great for both women and men! G.M. Collin AGE Total Defense is another of Jenna's favorites because she loves how it brightens and evens out her skin's tone and texture. Since this product combines 8 antioxidants and 5 peptides to combat all the visible signs of aging "it's ideal for active women and men of all ages, even with an urban lifestyle!" The Glo Skin Beauty Luminous Liquid Foundation is Catherine's favorite foundation, as it smooths across her skin easily, and blends just right to give the look that she's actually wearing no foundation at all! Her color choice is Naturalle, and it matches her skin tone exactly, giving a beautiful finish. Catherine also wished for the Alfaparf Diamond Cristalli Liquidi Illuminating Serum. This product is a great finisher for hair as it's light, yet very rich and penetrating. She says "the smell is so fresh and so clean! All in all, I'd say I feel very luxurious when I use it." Lilly loves the Avène Line! "The Avene Triacneal Night Smoothing Lotion product is very pleasant and I use it nightly. My skin is definitely improving!" she says when speaking of this night lotion. This intensive nighttime skin care reduces appearance of residual scarring and blemishes, soothes and refines skin texture and restores radiance. She also raved about Phyto Secret De Nuit Intense Hydration Regenerating Night Cream for the hair. Before going to bed, Lilly brushes her hair and then spreads a walnut sized amount of the product through her hands. It's time-released for night-long intense hydration, nourishment and repair. Ted and Leroy chose Beautystoredepot.com Gift Certificates! "I not really sure how to pick out products for my girl friend, so I'm going to play it safe and give her a gift certificate," says Ted. "My Mom hinted to me that she wanted to shop here, so what better gift for her than a gift certificate!" says Leroy. The other day, while driving in heavy rush-hour traffic, I glanced in the rear view mirror, and caught myself pursing my lips in an angry way and really noticed my lips lines! One cause of lip lines is, unfortunately, using our lips! 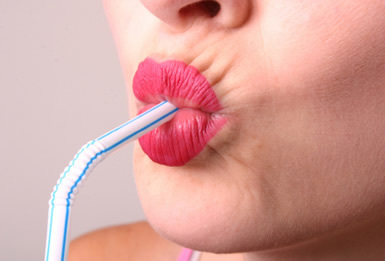 Every time you purse your lips to drink through a straw or whistle a tune, you create folds in the skin. Over time, the repetition of this pursing motion can result in permanent creases and lines around your mouth. Who doesn’t want younger looking lips! Young skin benefits from an abundance of collagen, elastin, hyaluronic acid, and other natural factors that will keep them firm, supple, and elastic. Aging is inevitable and avoidable, but with effective products and a conscious effort to change habits that can create lip lines, we can make our lips look more youthful and full. Natural substances like collagen and elastin deplete over time, which causes our complexions to become drier, less elastic, and less able to retain their shape. In addition, repetitive motions (smiling, frowning) begin to leave lasting impressions in the form of wrinkles—including lip lines. One product I love is Pevonia LipRenew Plump and De-Age Treatment. I can really feel this treatment working from the moment it’s applied! It makes my lips look fabulous, and keeps them hydrated and voluminous for a fuller and more “pouty” appearance. In addition, it offers intense hydration while blurring lines, wrinkles and other imperfections. Since my lips are thin and my mouth is smaller, this is my new go-to for my lips morning and night! 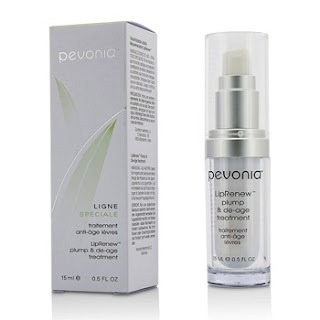 Apply this to the lips in the morning and night after cleansing and toning face with one of Pevonia’s wonderful array of products. Start with a cleanser like Pevonia Botanica Power Repair Hydrating Cleanser, then tone with Pevonia Power Repair Age Correction Hydrating Toner. These two power products together contain collagen and elastin to helps improve tone and texture. Hyaluronic acid locks in moisture, plumping skin and diminishing the look of fine lines and wrinkles. Vitamin E provides antioxidant benefits to protect and nourish, plus licorice root extract works to even skin tone to reveal flawless-looking skin. Adding the powerful LipRenew “lipo-filler” as a finishing touch will give lips and face an instant lift. 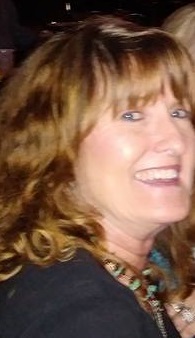 I am thrilled with how the fine lines around my lip are now diminished to almost non-existent! Avoid smoking: Smoking is one of the best ways to ensure you’ll experience lip lines. In fact, lip lines are often referred to as “smoker’s lines.” The repetitive lip-puckering motion of smoking eventually becomes a part of your skin. Meanwhile, smoking also bombards you with free radicals, which destroy healthy cells, breaking down collagen and encouraging skin wrinkling. Stay hydrated: Keeping lips moisturized during the day with an intensely hydrating lip product is also essential. Reduce the appearance of fine lines: If you wear makeup, the lip product you use could make all the difference. First, use a lip liner to keep lipstick in place and to prevent lipstick bleeding. Second, choose softer, more neutral colors. These, along with a touch of gloss, will help lips appear fuller and more youthful. Avoid tanning. Too much sun exposure is one of the worst things you can do for your skin in general; your lips are no exception! Pevonia was launched in 1991 with cruelty-free formulas and post-consumer recyclable/reusable packaging. They incorporate delicately extracted phyto-organic and natural ingredients to create earth and skin friendly products that are mother-nature approved. Protecting the earth and maintaining an affinity with nature and its precious resources is an integral part of Pevonia's philosophy. Pevonia International is a member of the Organic Trade Association. Many of us are beauty product “junkies” and without a doubt, we will always want to try and buy the latest and greatest products to use on our hair, skin and body! And that includes men, too! 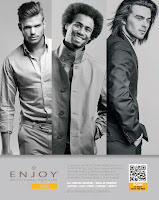 Here at Beautystoredepot.com we get asked this question “What is the best shampoo for my hair type?" This may sound like a simple question for a product expert, but giving a simple answer to a customer can be much more complicated! Overall, I absolutely love the shampoos and conditioners, as well as the styling and finishing products. The cleansing and conditioning products are highly concentrated, so a little goes a long way. Here’s an added bonus! The conditioners can also be used for moisturizing the skin or shaving! Founded in 2003, ENJOY line of shampoos,conditioners and styling aids focus on providing superior manageability without stripping your hair of its natural defenses. ENJOY shampoos and conditioners gently cleanse, moisturize and smooth while relieving stressed out hair and scalp. My hair is medium thick and has a tendency to be wavy in the climate variations in Central Texas, and ENJOY’s products are perfect fit to smooth and control my sometimes persnickety hair behavior. 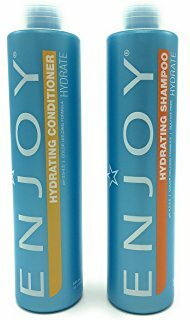 ENJOY Hydrating Shampoo and its companion ENJOY Hydrating Conditioner to try first. The Hydrating Shampoo did an excellent job of shampooing my roots to tip....without drying it out. I I found my hair smoother and softer, and interestingly enough it also stayed much cleaner between shampoos. And the Hydrating Conditioner provided excellent conditioning within just a minute or two, leaving my hair tangle-free and smelling great. You have naturally coarse or dry hair: Sulfates can zap even more moisture from already parched strands and diminishing shine. You color your hair: Sulfates may damage color. However, in this instance, it’s best to choose a sulfate-free shampoo coupled with a conditioner specifically designed for color treated hair. According to the American Academy of Dermatology, sulfates can cause skin irritation, so if you have sensitive skin—especially in cases of eczema—you may also benefit from sulfate-free products. Today, my hair is full of body, not frizzy and manageable! All of the products smell fantastic, so what’s not to love!